The harvests from your kitchen garden are always priceless though it is a vegetable thats available very cheap in stores outside; though you spent a lot on growing it than what its worth.. Though its available in plenty. But the Joy goes one level higher if you start growing something that you dont get outside easily and its very expensive. Yeah!!.. I am making my way towards the title of this post. “The Lettuce”. Before we start on the techniques of it, a little primer. There are several varieties of Lettuce. The ones that we get in the super market is mostly Iceberg. It has more water content, and is very crisp. But it is of very less nutritional value. There are other varieties of Lettuce that do have very high nutritional value. 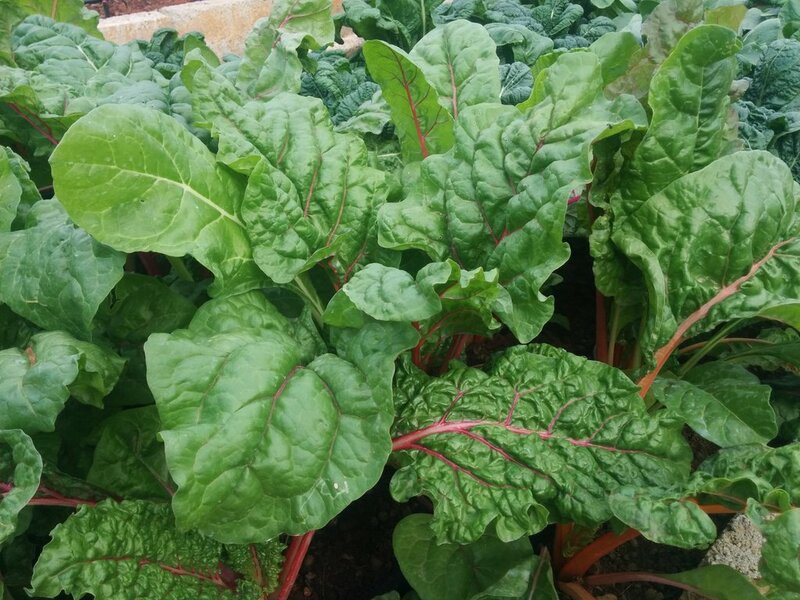 Those lettuce that have a mild flavor and pigmented leaves are rich in nutrients and Anti-oxidants. Though the varieties are different, the sowing technique remains the same. FYI, Lettuce belongs to the family Asteraceae ( Same as Sunflower, Daisy etc). Lettuce seeds look like this. The darker seeds are of “Red” colored leaves. 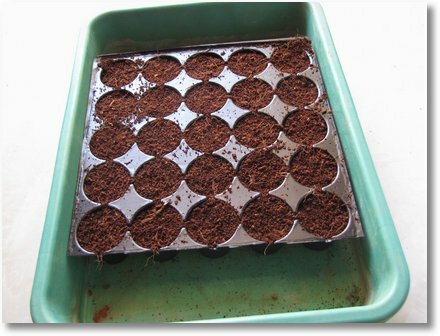 Fill your seedling tray with moist seed starting mix. Your seed starting mix must be free of any pathogens/fungi. 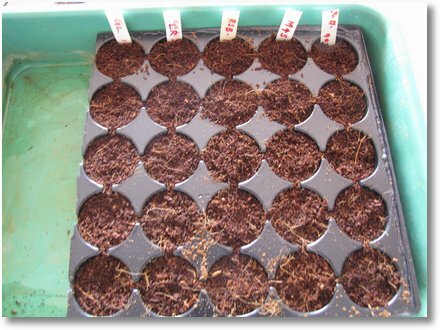 Using a sterile seed starting mix will avoid “Damping-off”. Here I use washed Coco-peat/Coco-coir/Coir-pith. Its not soggy but moist. 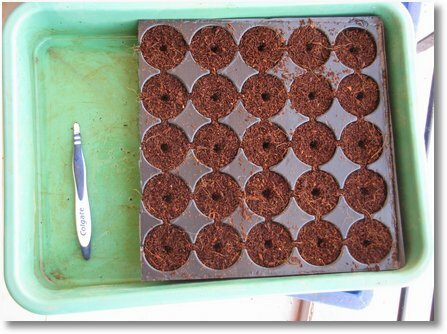 Take your dibber and make half centimeter pit in each cell of the seedling tray. An old toothbrush can be beheaded to make a dibber as in this picture. Sow the seeds two per hole. I sow two per hole. If you think one per hole is fine, goahead with one per hole. Once you have sown the seeds completely. Cover the seeds with little coco peat on all the cells. Sprinkle some water using a sprayer if the media is little dry. And important thing, If you are sowing more than one variety of the same veggie, then Label them. The seeds are sown in the following order from left to right: Great Lakes, Lolla Rossa, Red Salad Bowl, Marvel of Four seasons and the last row is not actually lettuce it is Cabbage ;-). I had just 4 cultivars of lettuce. You’re lucky, gg, to get so many varieties and talk about cultivars! Wish we get that in Chennai too… [SIGH] Well, I wouldn’t blame the shops but the people – they just aren’t so enthusiastic here…. If you see india as a whole we are still so behind in gardening compariing to other countries. Look at Israel, they are pioneers in many things agri/horti now. Would you mind seed sharing if you have more of them ? Long time no write… good to see you doing well ….i wonder if Vinitha is not feeling a little neglected !!!!!!!!!! Gardening activities are confined to adding manure and watering , keeping them alive through summer..
Of course , i have been reading your posts regularly and feel good. I am shocked to hear that. Must have been a difficult time for you. Hope your dad’s health is getting better now. With emergencies like this, you are finding time to manure and water the plants. That by itself is a great thing. It shows your passion. It is readers like you who motivate me to post more often. :-). How are your Hibiscuses doing?. I am back on gardening at top gear. About Vinitha, she gets really excited about my garden and helps me start seeds, water plants and keeping my garden clean (which i was very bad at). I cannot agree more. 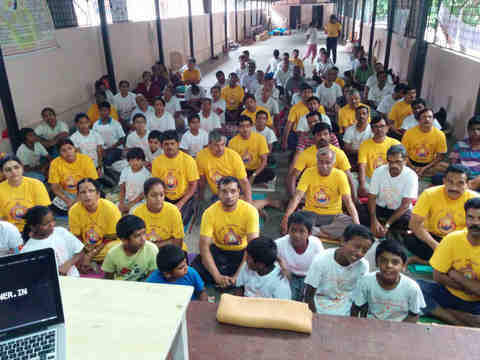 If you get a chance do search the web for “Vrikshayurveda” . It is about ayurveda for plants/trees. Our ancestors have done research on these things to an unimaginable degree. Look at the spectrum of herbs we have. Most of these herbs are exported :(. What about us? . Why should someone from outside tell us how to use “Neem oil” or even Compost tea?. We take lots of things for granted these days and we are busy copying the developed countries. In fact, we are so busy copying that we dont even know that we know(knew) so much. But the good news is we are improving. We will get there.. This is the first time I have seen lettuce seeds! Thanks. I grow lettuce throughout the year and it is an indispensable part of my morning breakfast – sold as young plants here in Japan. Coir is again one item I miss here in Japan (sigh)! 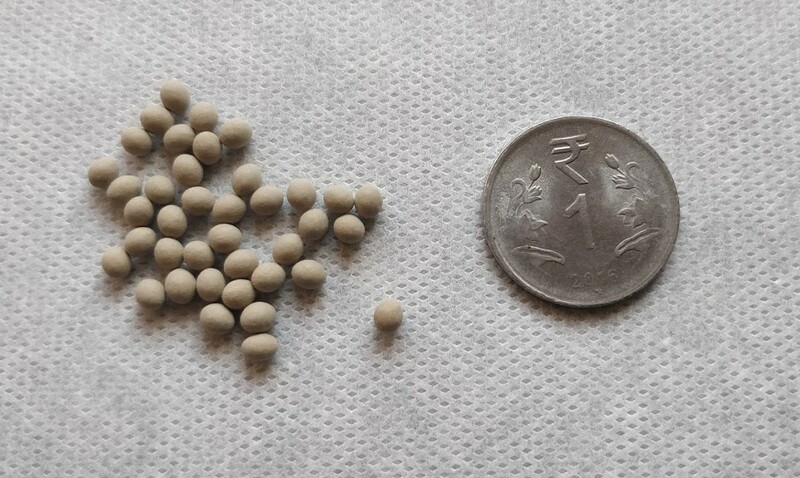 It might sound funny to you but next time I come to India, I’m going to get lots of coir and curry leaf seeds. Haa, I know how it feels. Infact, I wouldn’t bother sowing them if i can get lettuce seedlings here. ( finding lettuce is difficult here let alone their seedlings ;). Let me tell you something, When I started off gardening, i used to search for alternative mediums and Peat moss is the one that tops the list and I will be like frustrated so much since its something I don’t have access to. But once I started using cocopeat, I lost the need for peat. Does garden centres in Japan stock them?. You can check in some bedding mart/couch makers. Coco coir, before it was a big hit in horticulture, was used primarily as a cushion for bedding. Let me know when you come to Bangalore. We shall meet up. Well, there’s no coconut tree in mainland Japan :). So coir as are many natural items available dirt cheap in other countries, will be imported into Japan. Peat moss is available here and I do use it where it helps retain moisture. Sure, I’ll catch up with you next time I’m in B’lore. with due respected i am english vegetavles growers os i want hybrid lettuce seed variety raider please contect me. Welcome to my blog. The lettuce I have are all OP varieties and not a hybrid one. I will check out in Bangalore, if the variety you mention is available or not. 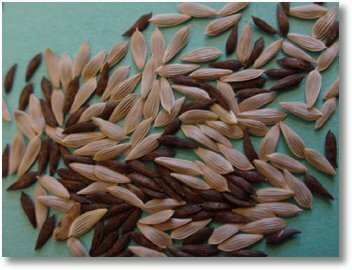 Could you please share with me the source of the seeds? Do you also have pics of the final crop? I buy seeds from different places. The lettuce seeds i got are from DOH & A seed shop near INDAM in K R Road. I have the pics and will post it soon. Work got too hectic and couldnt find time to blog. 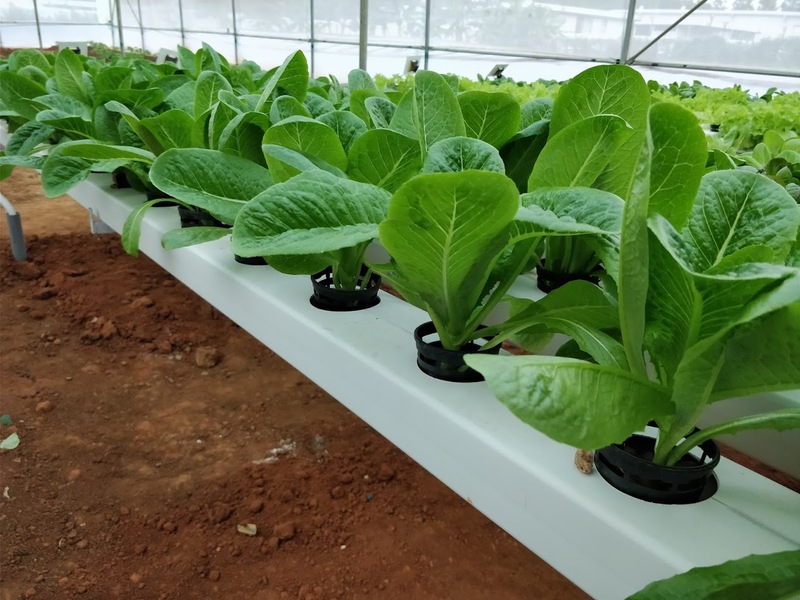 I am excited to tell you that we have started large scale farming of lettuce. Sadly i couldnt get the seeds from the bangalore address you mentioned, as i live in Delhi. I imported them from USA and we have sown over 15 acres of land with iceberg and Romaine/Cos variety. I would be more than happy to share the pictures if anyone is interested. Or if anyone wants to try farming it in large scale with me. We have over 300 acres of farm land with unlimited water supply. Hey i just got the seeds 1-2 weeks back. Can i sow them now? i want from where i can get seed of iceberg lattuce,please tell me as quick as possible,i live chandigarh. I’m a new to this blog and have curious of learning little bit of growing lettuce. My father owns a land near souther part of karnataka and i’m intereseted in farming. It would be great if you post any details regarding the lettuce farming like weather conditions, seeds availabilty, marketing etc..
You can call me at 9019931957 and I can help you with getting started. Growing vegetables gives me great pleasure. I have started off growing some for my family using the Coir method you suggested. I am growing Tomato and Beans and first harvest is about a week ahead. Meanwhile, I am impressed about the lettuce. Can you share the source of Lettuce seeds, is it on the IndoAmerican Seeds on the KR Road, Bangalore? You can get lettuce seeds in National Seeds on the same cross as INDAM(before taking a right turn for Indo American seeds). Anbarasu, there is no one best variety of lettuce. It depends on what you are looking for. You get lettuce seeds in Gandhinagar and in Lalbagh too. I was wondering – from where did you get all these lettuce seeds in Bangalore? Would you be able to share them? Do you have any experience with rocket or argula types? Also, when do you start giving them manure – do you replant them in soil after germination? Can I plant my lettuce seeds into regular fertilised soil (potting mix) into either my starter kit seed tray or into a flower bed which is 1 foot deep? I live in Bombay and while it is summer now, my terrace where I want to try the lettuce will have rain in another month / 45 days. Any suggestions? I have no idea where to get the seed sowing mix. You can plant lettuce seeds in either of them. Don’t bury the seeds as they need light to germinate. Seed sowing mix can be made simply by using cocopeat. I recently got lettuce seeds from lalbagh. I tried EVERYTHING: I put them in composted soil in a pot (both lightly buried and unburied), on damp cotton bed in a petri dish, and even in a coirbed as you described. I must have planted about 40 seeds this way – But not a single one even germinated after 2 weeks! I even put the petri dish in the veg tray of fridge, since I heard that lettuce likes cold – nothing doing. Am I doing something wrong or are the seeds simply dud? If I go and get another seed packet, how would I know they won’t be dud either? Or is it due to the recent hot weather in Bangalore? 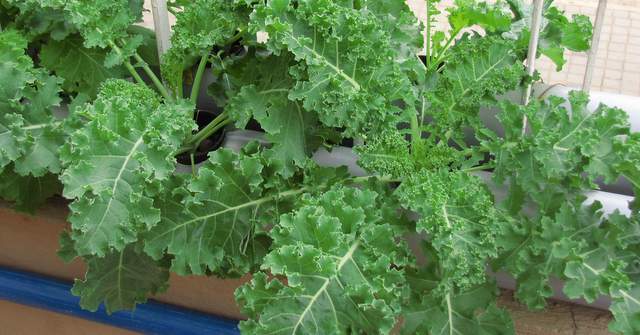 i have just started lettuce iceberg and am facing an issue with the seedlings…..
after reaching a size of 3 inches the seedlings are falling down…they dont seem to have any strength….i’ve given the appropriate fertilizer to get it started but no improvement….